If you would like to sell your farm products online - via the Internet on your small farm website - here are some ideas and tips for getting started. 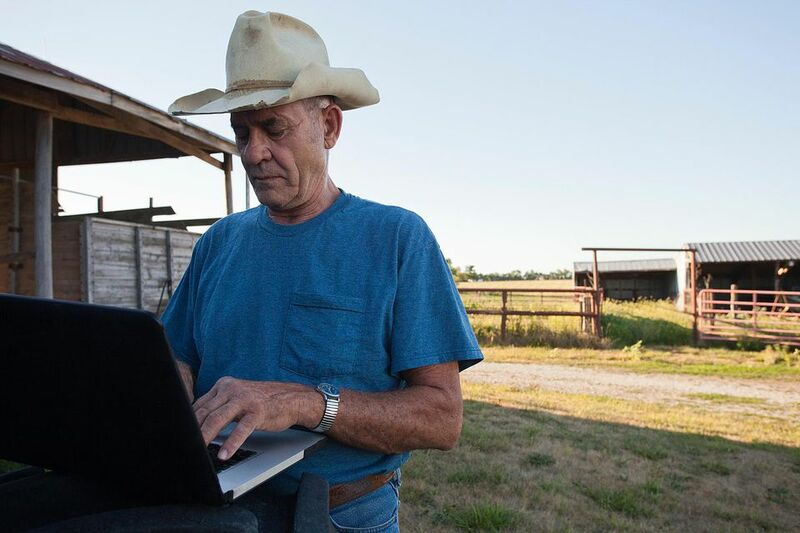 The Internet can be a great way to increase farm visibility and for local marketing, but you can also sell directly on the web to consumers, shipping them products, or offering pickup. Or you can offer services like paying for their CSA share on the web or buying meat in bulk through your website for pickup at the farm later. There are several different ways to approach marketing your small farm with the Internet. You might choose any or all of these approaches, perhaps at different times during the evolution of your small farm business. A website presence is a must for basically any small business these days, and a small farm is no exception. The website will let people know you exist, helping you to reach customers who might not otherwise find you. You should have a minimum of a page that tells about your farm, what products you sell, and an email address that's clickable so visitors can send you an email. Consider also including a blog to keep readers up to date on what's happening on your small farm. Photos are very helpful to have, especially of your lovely, happy, and healthy farm animals. You may already sell products in person, or perhaps your products are things like cheese or vegetables that don't ship very well. You can use the Internet to supplement your sales, by allowing customers to place orders for items that can then be picked up at the farm later. Or you may want to offer your CSA shareholders the opportunity to purchase and pay for their shares online. One advantage of using the Internet for supplemental sales is that you may attract customers who lack access to your products in person. Even if you sell cheese, you can ship it on dry ice overnight to customers. If you have a high-end specialty or alternative product, customers may be willing to pay for the relatively high cost of shipping. Or, you may choose to wholesale product to restaurants and other high-end outlets who can purchase the item in bulk (and because of bulk, the shipping cost is more reasonable). Another option to consider is offering deliveries of products sold online, either directly to consumers, or to restaurants, food co-ops, and chefs. An entirely Internet-based farm business may not be that common, but if you're somewhere that isn't very populated or have the right kind of product, it might work for you. At the very least, you may choose to focus your efforts on selling via the Internet before expanding to your local market. Some farm products that make sense to offer through the web are garden seeds, small plants like herbs or strawberry starts, baby chicks or other baby poultry that can be shipped, package bees and queens, and value-added farm products like yarn and wool, beeswax candles, herbal tinctures, and more. If you are selling your farm products online, there are some basic pieces of infrastructure you'll need to develop. Some are obvious and others, not so much. Website. A website is the cornerstone of most small farms' online presence. However, if you don't have the time or money to create one or have it done for you, consider listing your farm with services like LocalHarvest.org or Pick-a-Pepper.com, where you can sell directly to consumers without having a website of your own. Shopping cart software. Any time you sell something online that's more complicated than one single item, a shopping cart helps. Check with your website hosting company to see what they offer. Payment processing. Whether it's Paypal or the credit card processor that you use for in-person transactions, you'll need to figure out how you're going to take payment online. Email support. You'll need to have an email address where customers can contact you if something goes wrong, they want to change their order, or they want to return something.